This addon adds a jQuery which enables ajax paging for Page List Block. This addon works as a custom template for the preinstalled Page List Block. When you need ajax, you can select a ajaxview custom template. 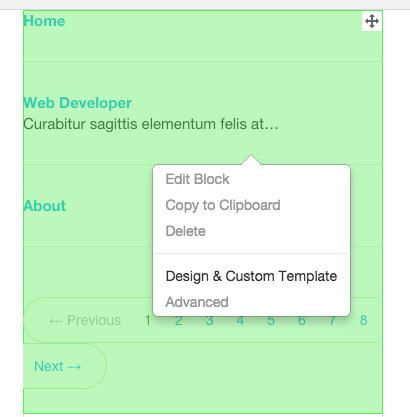 When you do not need ajax any more, you can switch to the default template or another custom template. Rescuework's Youtube Latest Video Block allows you to diplay latest video or video list. Clear Cache on Admin Login allows you to clear cache when you login your website. Accessibility per User allows each user to choose toolbar title / large font size. Link to Edit Profile allows users to go to his/her profile quickly. Login Alert allows you to discover the unauthorized login quickly.